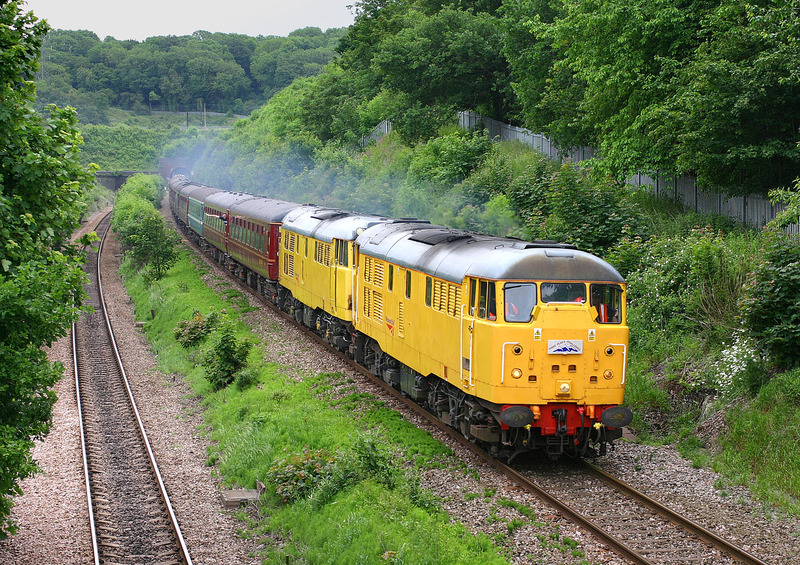 31105 & 31285 storm out of Patchway Tunnel with the 1Z24 12:10 St. Andrews Road to Tytherington section of the Railway Children 'Bristol Coal-Stone Haul' railtour on 3 June 2007. The photo is taken from the footbridge next to the brickworks at Cattybrook. The brickworks is still a thriving business today, but is chiefly noted for the fact that it supplied over 19 million bricks for the construction of the Severn Tunnel.